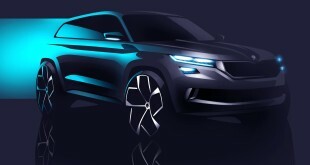 The ŠKODA KODIAQ, which will celebrate its world premiere on 1st September 2016 in Berlin, makes a strong statement with an impressive combination of powerful design and generous space. 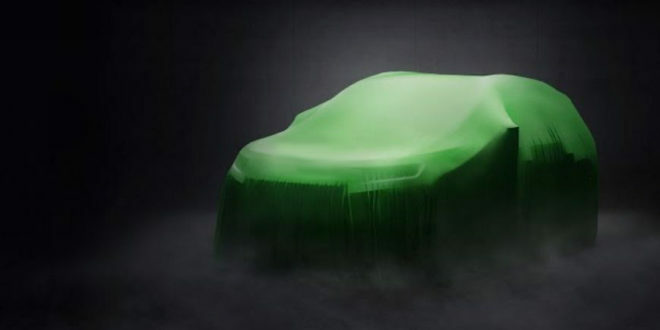 The All-New ŠKODA KODIAQ will be revealed to the world for the very first time in Berlin on September 1. 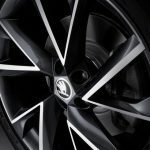 One of the year’s most anticipated automotive unveilings is being hosted on a special LIVE stream, starting 19:00 CET / GMT, so you can bear witness to this unique event. 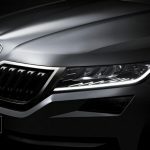 Skoda has yet to announce prices but the Kodiaq is likely to be around £22,000 for the entry level model. 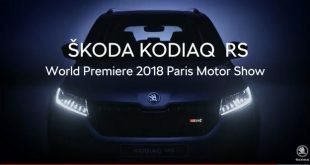 Our sources suggest that you’ll be able to place an order for a Kodiaq in late 2016, following its public debut at the Paris motor show, and that deliveries will start in early 2017. 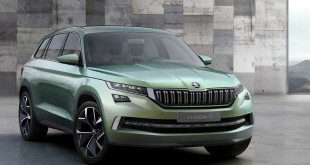 Competition is fierce in the family-size SUV sector and the Kodiaq will be up against the likes of the Hyundai Santa Fe, Nissan X-Trail and VW Tiguan and others, but first impressions are that the new Skoda SUV should hold its own. 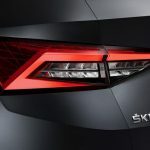 At 4.70 metres long the new SUV, which will come as a five or seven-seater, offers the largest boot capacity in its class with up to 2,065 litres of room with all seats folded in the five-seater. The adjustable rear seats come as standard and the backrests can be tilted as required. The optional couple of third row of seats will suit little ones or adults on a shorter journey. 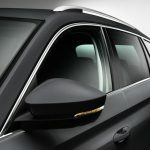 Skoda’s “Simply Clever” programme comes into play in the new Kodiaq and includes plastic door-edge protection that deploys automatically to avoid damaging the vehicle in garages or car parks. There’s also a sleep comfort package with special headrests for long trips.